How to Create a Kubuntu 9.10 Live USB Flash Drive from Windows: Kubuntu is a product of Canonical Ltd that features the KDE desktop environment. In the following tutorial, we show you how we installed Kubuntu 9.10 to a USB Flash Drive using a Windows PC to perform the install. 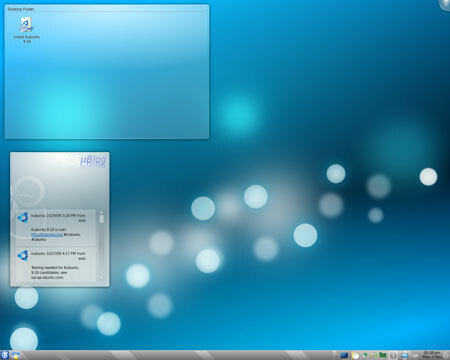 Once finished, Kubuntu 9.10 can be booted and run directly from your portable device. This process uses the casper-rw loopback image file to allow you to persistently save changes and restore those changes on subsequent boots. This tutorial is obsolete! This tutorial or version of Linux is old and has been removed. Please use the Universal USB Installer instead, as it can be used to install the latest version.